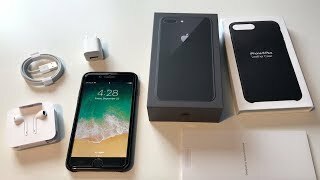 Apple iPhone 8 Plus Price in India. 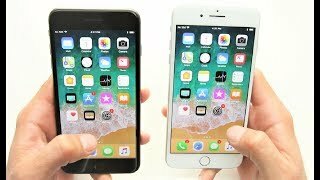 The iPhone 8 Plus price in India starts from Rs. 81,500. This comes with 3 GB RAM and 256 GB ROM. It was launched in September 2017. 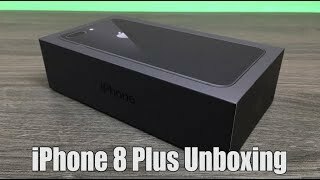 Apple iPhone 8 Plus Specification. This newly launched gadget comes with 3 GB RAM and 256 GB internal storage. It is powered by hexa core apple A11 bionic chip with the clock speed of 2.39 GHz (2x Monsoon + 4x Mistral). It comes with HD Display and Displays size is 5.5 inches and LED-backlit IPS LCD capacitive touchscreen, 16M colors with resolution 1080 x 1920 pixels, 16:9 ratio (~401 ppi density). and is powered by Non-removable Li-Ion 2691 mAh battery. Apple iPhone 8 Plus Camera. 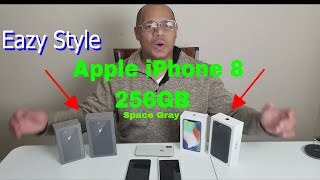 It has Dual: 12 MP (f/1.8, 28mm, OIS) + 12 MP (f/2.8, 57mm), PDAF, 2x optical zoom, quad-LED dual-tone flash and 7 MP (f/2.2, 32mm), [email protected], [email protected], face detection, HDR secondary camera, which Shoot clearer photos. The camera of this device has many features including-Geo-tagging, simultaneous 4K video and 8MP image recording, touch focus, face/smile detection, HDR (photo/panorama). Videos can be recorded [email protected]/30/60fps, [email protected]/60/120/240fps. 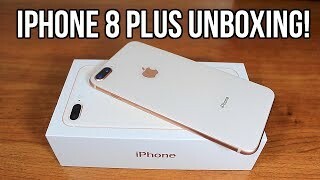 Apple iPhone 8 Plus Features. Apart from all these features of the gadget, It has a screen size of 5.5 inches, 83.4 cm2 which is a capacitive touchscreen, LED-backlit IPS LCD, capacitive touchscreen, 16M colors, 16:9 display with 1080 x 1920 pixels resolution. It also has Hexa-core (2x Monsoon + 4x Mistral) processor which is good. Sensors include- Fingerprint (front-mounted), accelerometer, gyro, proximity, compass, barometer. This phone is available in four colors- Silver, Space Gray, Gold, Red.